Restoring life to the Ganga is not rocket science, said an exhaustive report on the river Ganga by The Third Pole. It added “what it needs is political will, a consequent enabling policy framework, and implementation”. The March 2017 assembly election results provided another chance to make this political will manifest. For the first time since the current Indian government took office in 2014, it has captured power in Uttarakhand and Uttar Pradesh, the two upstream states of the Ganga basin. For months, Uma Bharti, union minister for water resources, has been complaining of non-cooperation from the governments of these two states. She can no longer do so. It is time for her to deliver on her promise to have a clean Ganga flowing by the end of 2018, said the report ‘Ganga: An unholy mess’. It said that the Ganga has little water for much of the year, and the contamination of that little exceeds description. “…successive attempts to clean the river through versions of the Ganga Action Plan (started in 1983) have failed. Namami Gangge, the current avatar of the plan, has proved equally futile so far,” wrote Joydeep Gupta, South Asia director of thethirdpole.net. There are two main reasons for the failure. 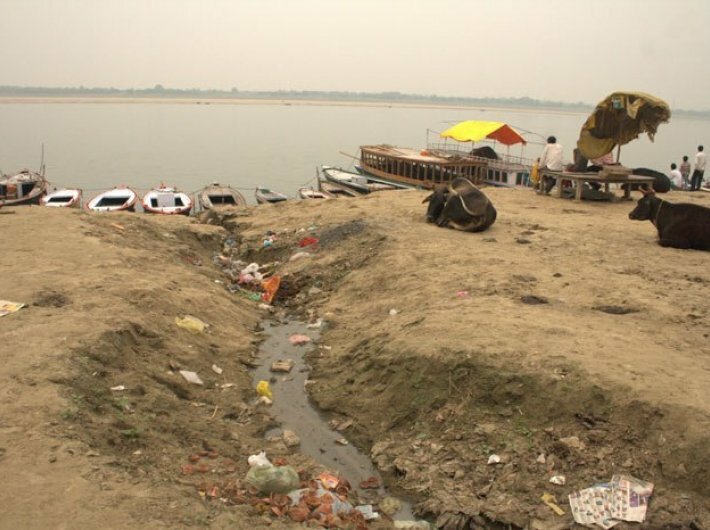 The governments of the states, municipalities and panchayats through which the Ganga and its tributaries flow see little incentive to clean up. The result is billions sunk in sewage treatment plants, which either do not work or are unconnected to the main sources of sewage. The second reason is that during non-monsoon months, there simply isn’t enough water to carry the pollutants away. A river is a river only when water flows through it. Except during the monsoon, the Ganga fails this basic test. The comprehensive report goes on to say that by the time the Ganga reaches Varanasi – around halfway through its journey to the sea and the parliamentary constituency of prime minister Narendra Modi – it is a river only in name. “…it all goes down to Farakka, where the barrage built to save Kolkata port has created many more problems than it has solved. “With Bangladesh complaining bitterly about the Farakka barrage reducing the lean season flow of the Ganga’s main distributory the Padma, the transboundary nature of the river is now very much in focus. …it is a problem that has been partially solved by the 1997 Ganges Treaty between India and Bangladesh, but much more remains to be done. And will the Ganges barrage planned further downstream in the Padma help? There are different points of view. The Bangladesh section of the Ganga delta has very serious problems”.